Alpha Fire and Security has installed numerous CCTV systems in Ayrshire, the surrounding area and further afield. From small CCTV Systems installed in offices, small shops and the ever growing domestic CCTV market, to large multi DVR CCTV systems for large businesses and commercial premises. Here we look in more detail at what is involved in CCTV systems. If interested in CCTV protection, then please contact us and our CCTV specialist will arrange a free no obligation site survey where they will answer all the questions you may have. They will also provide you with a detailed CCTV quotation. A professionally installed CCTV system is the ideal way to enhance your security. CCTV has developed and changed over time and market competitiveness has driven the costs down making it a more accessible and realistic option for both home owners and business owners. The most commonly used CCTV system for the home consists of a Digital Video Recorder with external cameras. Cameras would tend to be positioned to view potentially vulnerable areas of a house or a car, and are hard wired to a digital recorder. This can then be connected to an existing television via its AV input or, if preferred, a CCTV monitor can be provided. Protection of business and commercial premises is vital, and regardless of the business type, CCTV is a huge asset. From small shops and offices to large industrial premises, Alpha can design, supply, install and maintain the perfect CCTV system tailored to your needs. A Digital Video Recorder is an essential part of a CCTV System as it will constantly record and store footage captured by the cameras. Footage is stored on the recorder’s hard drive and when full, the DVR will simply start to re-record over footage from the oldest point. 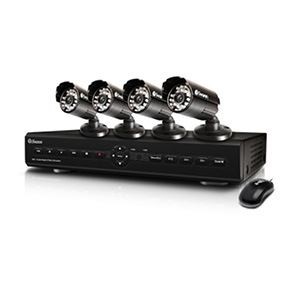 Various DVR size options are available depending on the number of cameras in use. A useful feature is the ability to network DVRs to allow footage to be viewed remotely on a smart phone, tablet or PC. DVR’s are built in various sizes to accommodate the amount of cameras required. A common feature is the ability to network DVR’s so footage can be viewed by the owner from remote locations on smart phones, tablets and PC’s. Covert cameras come in many guises including PIR detectors, clocks, thermostats, smoke detectors and junction boxes. 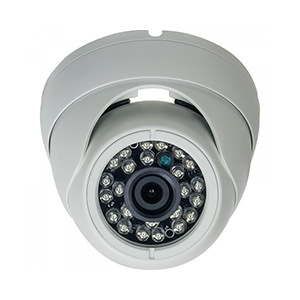 One of the most common types of CCTV camera is a dome camera. Many styles are available including internal, external, plastic housing and vandal resistant. To aid night viewing, IR LED’s can be included; the list is extensive. The design of dome cameras make it difficult to see where the camera is aimed; the dome bubble offers lens protection while the shape makes it difficult to remove from a wall or ceiling. Speed domes offer high security and are most commonly used in commercial premises. 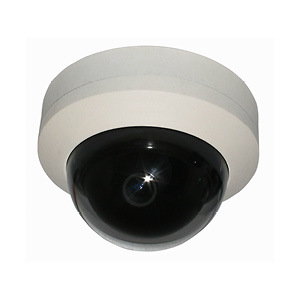 Speed dome cameras are multi directional and are equipped with a zoom function. When installing speed domes they are set to predefined tours. 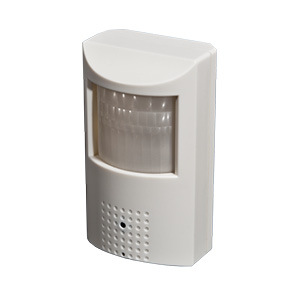 However, using external PIR detection the cameras can move and zoom into specific areas where the PIR detects movement. Speed domes are normally connected to a keyboard control which can override pre-set tours and move the camera independently. Eyeball cameras are an alternative to dome cameras. With built in LEDs and a semi-vandal resistant casing they are designed for external use, but do not look out of place inside a building due to their compact size. 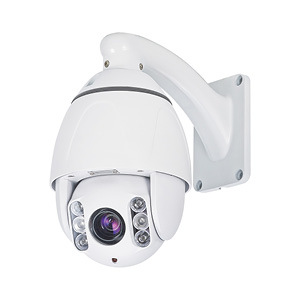 Eyeball cameras offer a more cost effective CCTV solution and are very popular with both small businesses and the ever growing domestic CCTV market. Keyboards prime use is to control speed dome cameras. The keyboard offers the functionality to allow the movement of dome cameras in any direction and zoom in and out. Usually control is with a joystick built on to the keyboard; giving a more natural feel. 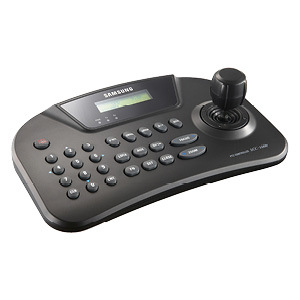 Keyboards also allow the user to select cameras and control more than one speed dome.